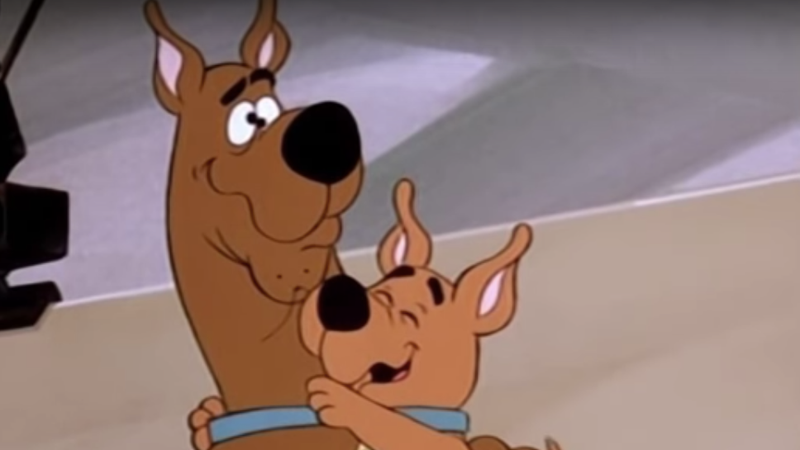 Many of us have wished for the death of Scrappy-Doo—an obnoxious, unfortunate add to the classic Scooby-Doo line of cartoons—many times. It’s hard to decides what was worse: His motto of “Puppy power”? His tendency to put up his dukes? Or the way he constantly messed up the plans of “Unca Scoob” and his pals as they tried to catch various mask-wearing evildoers? Whatever it was, more recent Scooby-Doo creative forces appear to understand that Scooby’s little nephew is completely terrible. Scrappy is a throwaway in-joke in the excellent Mystery Incorporated! reboot, and (spoiler for 16-year-old movie) turns out to be the villain in the live action Scooby-Doo film. and it quickly went viral. The rest is fan-fiction, Twitter, and Tumblr (where the line also landed) history. It’s no “Call me Ishmael,” but as first lines go, it definitely has possibilities.